Education nowadays is a very important solution against poverty. Education is everybody’s foundation to attain success in life. But all of this is impossible to achieve if schools are not equipped with the materials and facilities needed by the students. In essence, education is one way to minimize poverty. As a civil society organization in partnership with the Department of Education, the SBMC-CORE team visited some schools in Don Marcelino, Davao del Sur. Don Marcelino is a third class municipality in the province of Davao del Sur. According to the 01 May 2010 census, it has a population of 41,942 people and is composed of 15 barangays. Barangay Baluntaya is found in Don Marcelino. Baluntaya Elementary School and Don Marcelino National High School can be found in this remote barangay. The PIT visited the school to conduct an orientation, a beginning inventory of armchairs, and to monitor the newly constructed school building under BEFF 2011. Don Marcelino National High School is composed of 6 classrooms including a make-shift building. It has a total of 428 students enrolled in this school. The average number of students per classroom is 71 with 54 average total numbers of armchairs in one classroom. Baluntaya Elementary School is 3 kilometers away from Don Marcelino National High School. This school is composed of eight classrooms including a shift building. A total of 551 students currently enrolled in this school, with a ratio of 69 students per classroom. The total average number of armchairs in one classroom is 27. It is heartbreaking to see the students sitting on the floor while classes are ongoing. 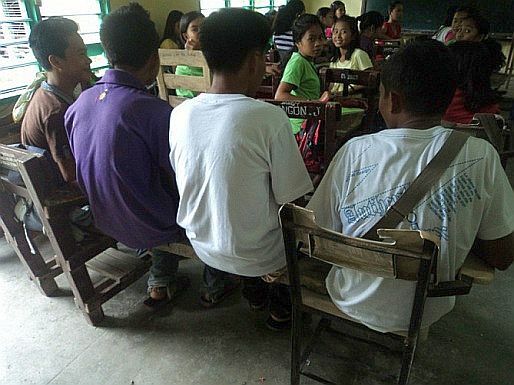 According to Mrs. Marlyn Aquino, the school principal, two students share one armchair. She also said that their school needs more armchairs and school buildings. Most of their school classrooms and the makeshift building are donated by private persons in their barangay. The school has only one CR. It is sad to note that there are still schools in remote areas that need DepED’s services and attention. 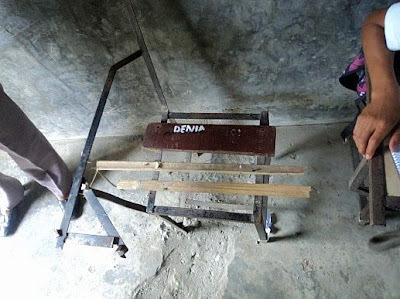 The schools mentioned above are in need of more armchairs and school buildings. In order to deliver the good service and provide quality education, the agency should see to it that the schools are equipped with materials and facilities that are needed so that the students are motivated to study harder and attain their goals in life.